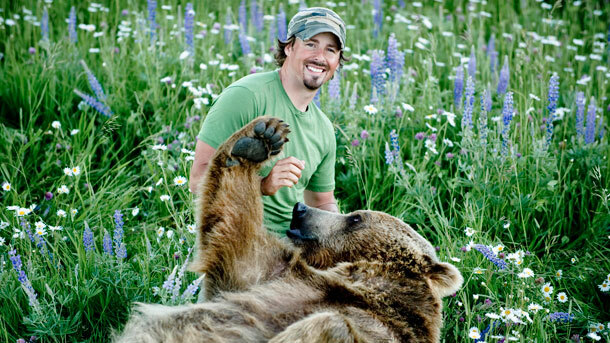 Casey Anderson has had a passion for wild animals since he was a boy growing up in Montana. 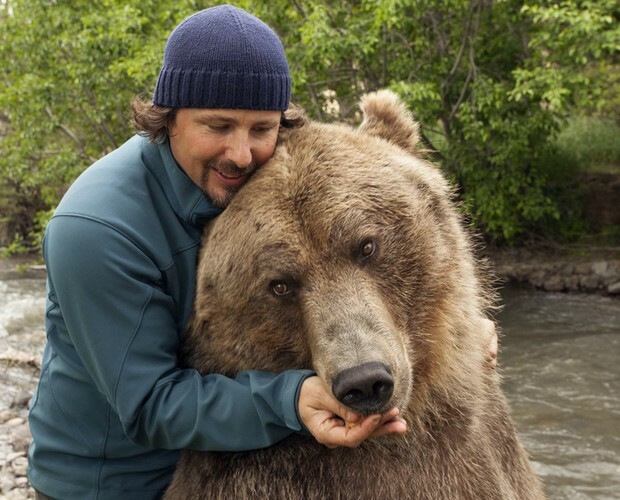 He especially loves bears and over the years has worked on conserving the animals and help educate people about them. 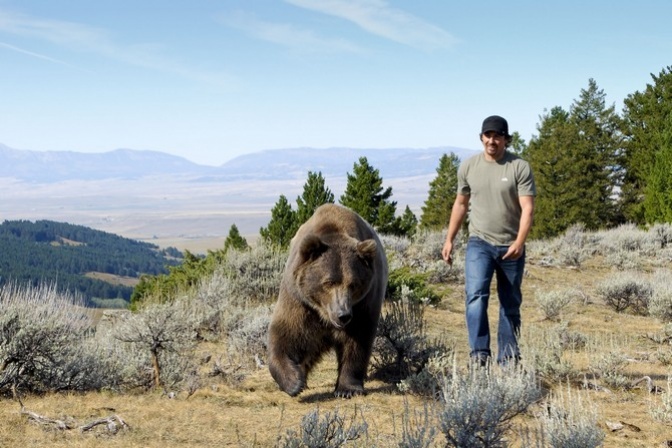 And he’s got a unique personal connection with bears through his friendship with Brutus, an 800-pound grizzly bear who he’s reared since the bear was a cub. 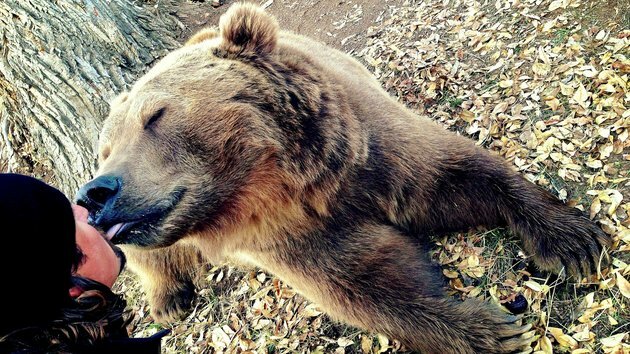 Casey found Brutus next to his dead mother in the Alaskan mountains. 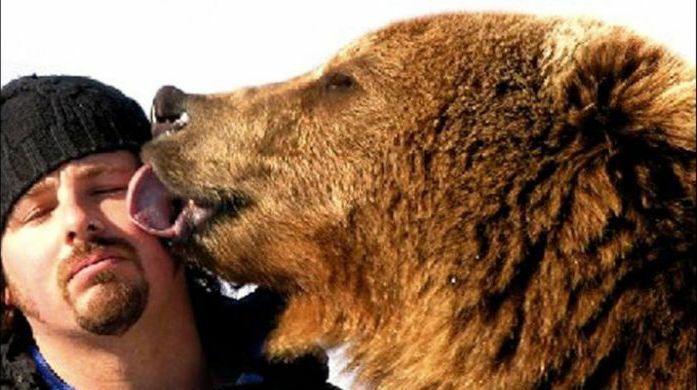 He rescued the cub and cared for him. When Brutus grew too big to stay in Casey’s home, he established the Montana Grizzly Encounter Rescue and Educational Sanctuary. "This connection goes beyond just taking care of Brutus," Casey told Oprah back then. "They're very, very emotional animals... When he was a little baby, I was bottle-feeding him and I looked down in his eyes. He had a little tear in his eye. I just kind of chalked it up to [him] straining as he was sucking down the bottle. Several years later, Brutus got a bit of a bellyache. In his eyes, he had the same tear. 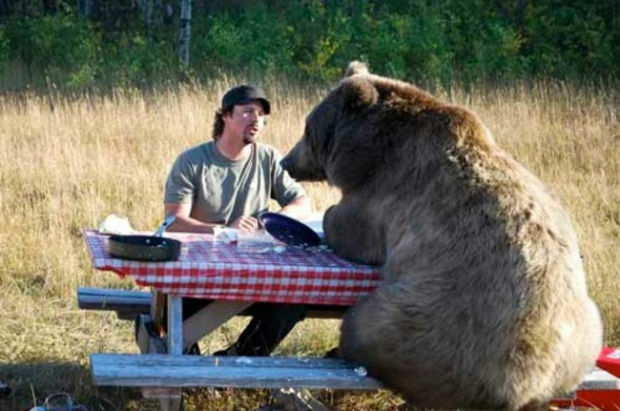 At that moment, I realized that grizzly bears can feel the same emotions we do." "I was having a hard time, was really upset about some things... I was crying," Casey said. "I could see that he wanted to take the pain away from me. He came up to me very gently and nudged me. He just stood by me unconditionally and he listened to me and he was there when I was crying. It's truly what I needed from him. This relationship is a give-and-take." 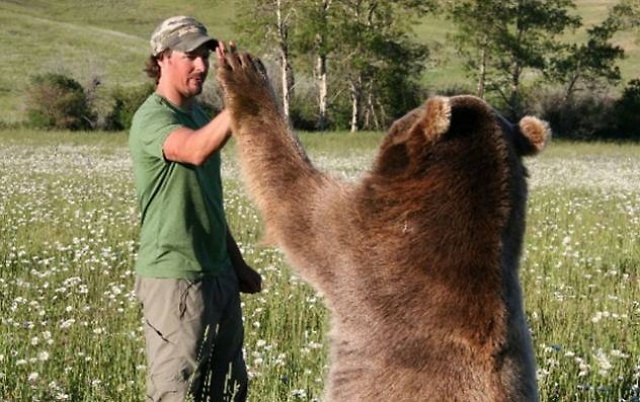 Responses to "Man Raises Orphaned Grizzly Bear As His Best Friend And They Become Inseparable"
God bless you. You are doing what I have dreamed all my life, it seems. I'm almost 72 years old and didn't get involved with pets until 1990, after my divorce. My pets, a Great Pyrenees called Gandalf, and my other tiny/small dogs, all 9 of them, and 3 foster dogs, and my two cats, are the sheer joy of my life. Lucky man to have such a good furry friend! I just want to hug you both !!!!! !